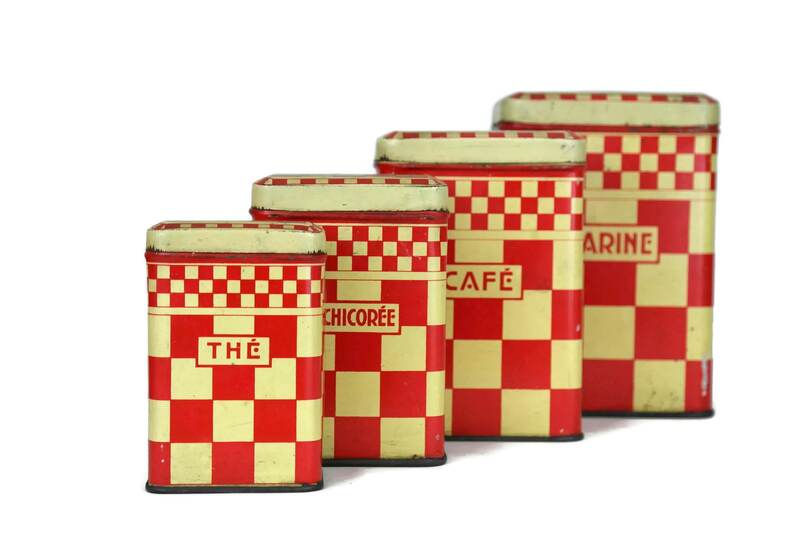 French Vintage Red Kitchen Canisters. 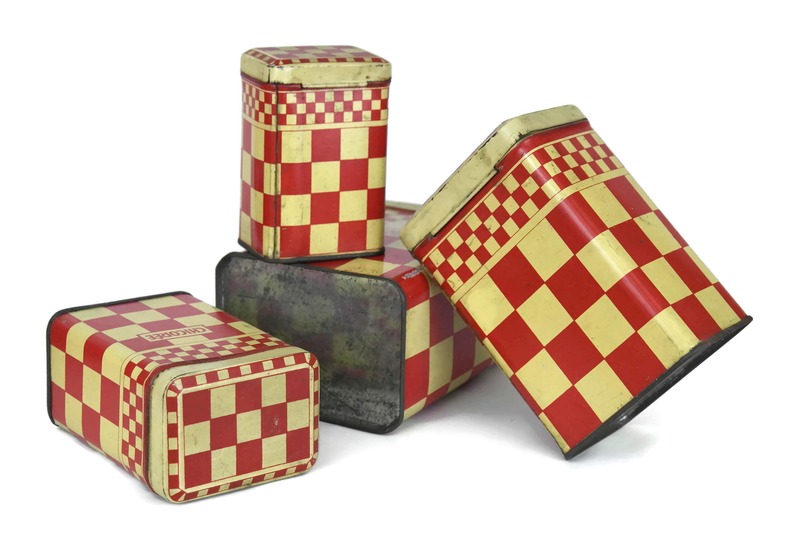 Set of 4 Red Checkerboard Lithographed Tin Boxes. 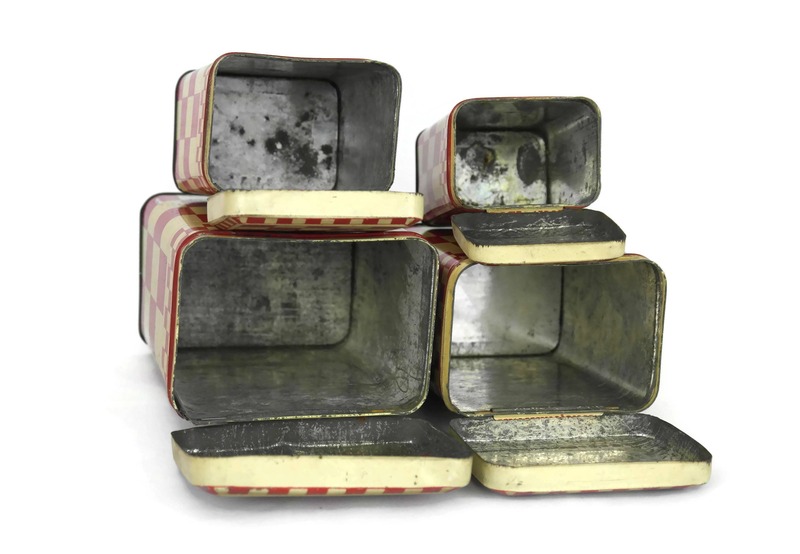 Lustucru Pattern. 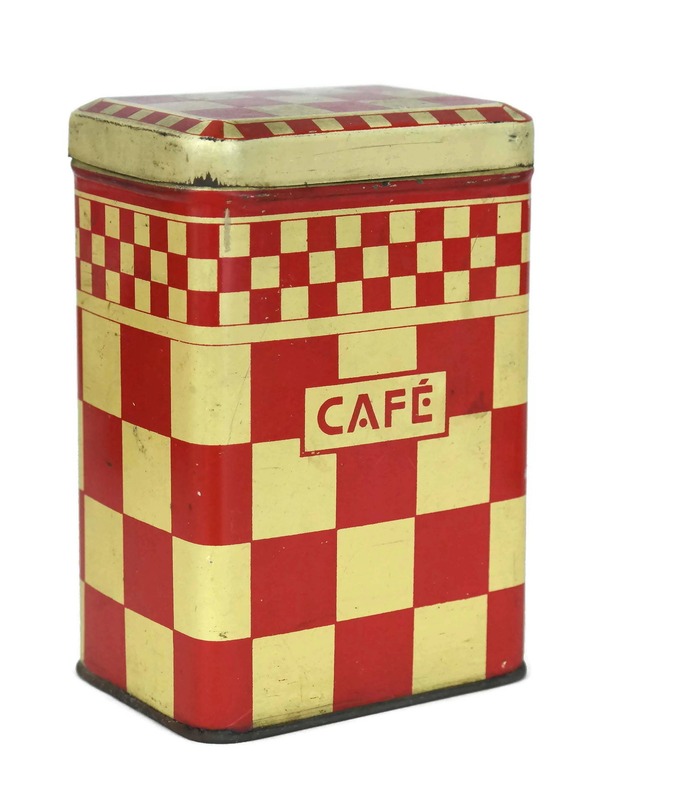 Retro Coffee and Tea Canisters. 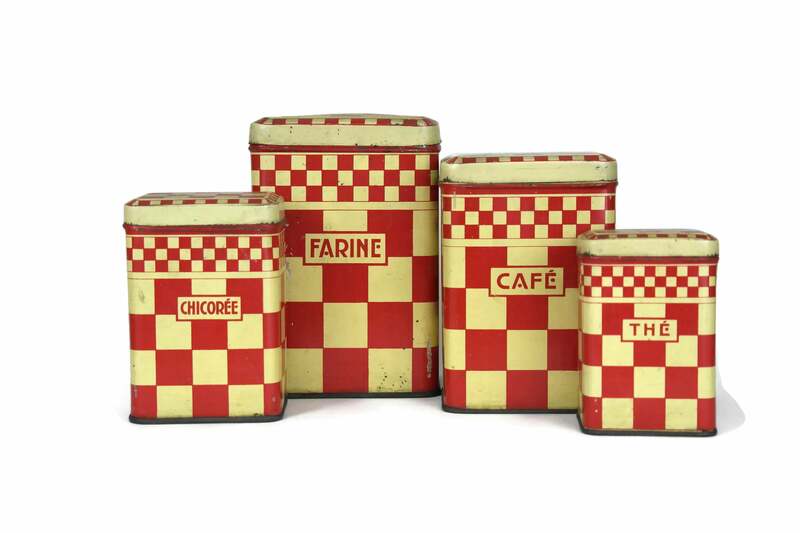 A striking set of French vintage red kitchen canisters dating to the 1930's. 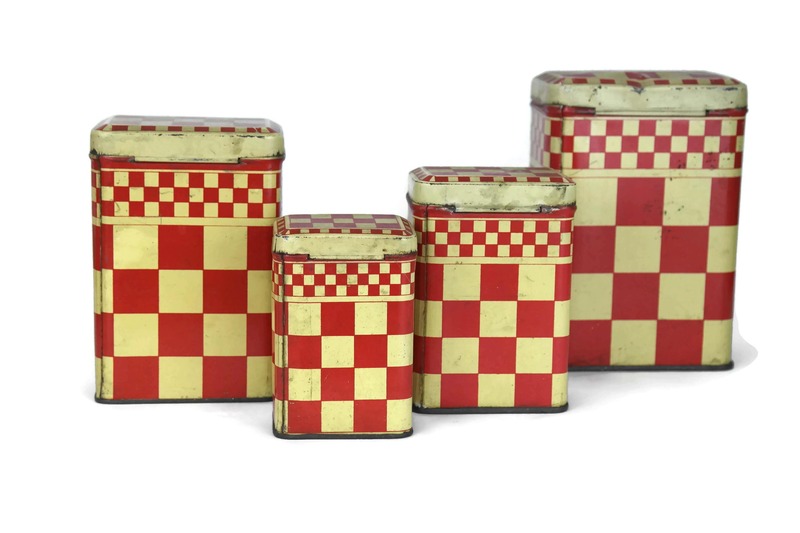 The set of 4 graduated tin boxes have been decorated with a lithographed beige and red checkerboard pattern known as Lustucru in France. 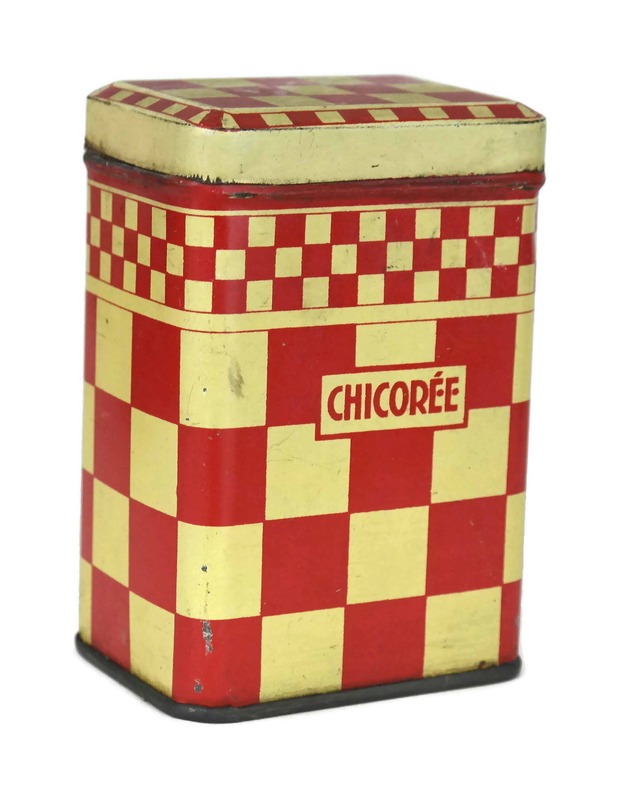 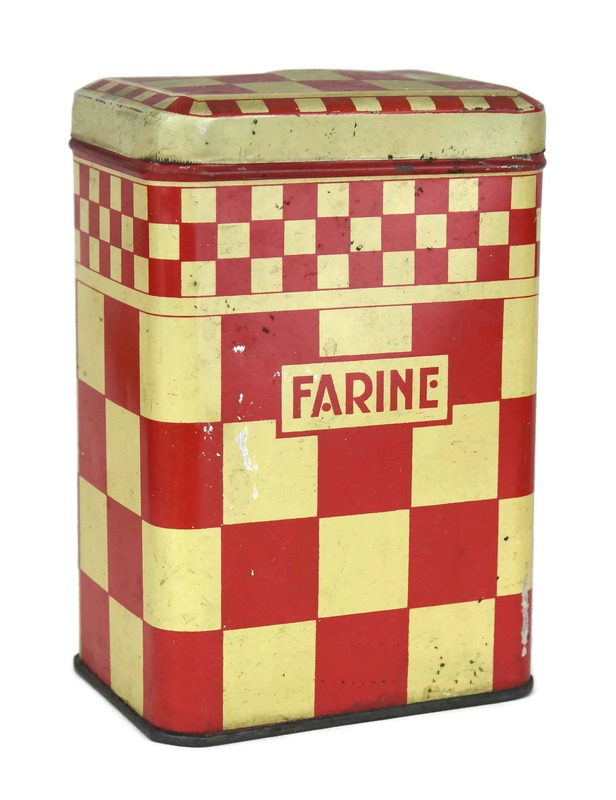 Each tin box has a hinged lid and has been labeled in French for storing either flour, coffee, chicory and tea (farine, café, chicorée, et thé). 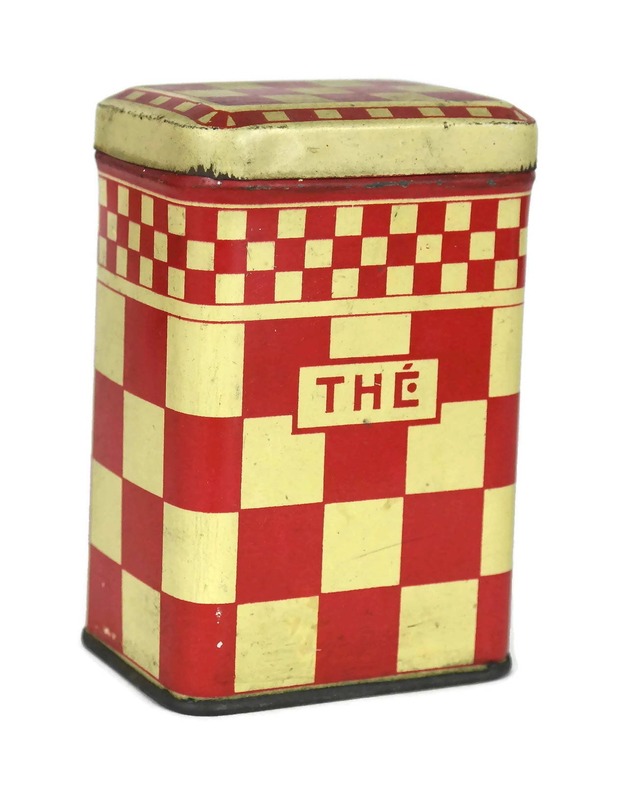 - Thé: 4" Tall, 2 1/2" Wide and 2" Deep (10 cm x 6,5 cm x 5 cm). 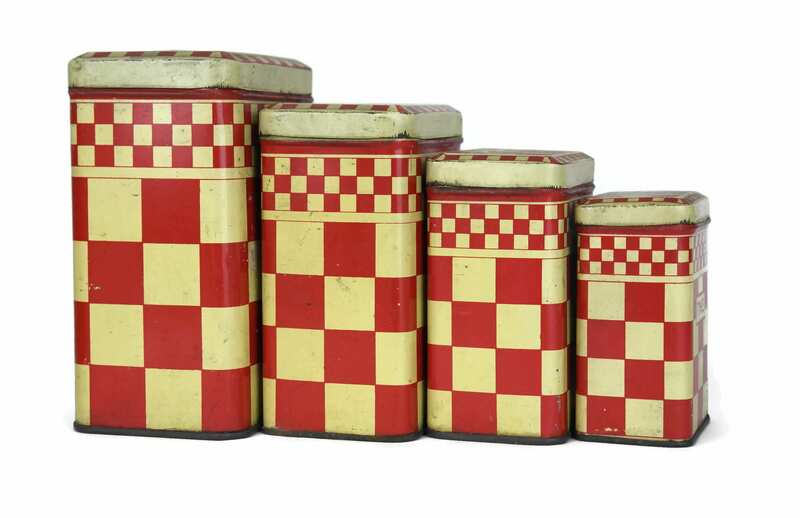 The set of 4 red kitchen canisters is in good vintage condition with some signs of age and wear including surface marks, scratches and light dents.